Rushmoor in Hampshire has been celebrated as the happiest place to live in the UK, according to a survey of life satisfaction in Britain. Whilst the national average was 7/10, residents in the borough stated they were 8.35/10 happy in the research carried out by The Office for National Statistics[i]. Attributed to the area’s fantastic facilities and green spaces, the area’s popularity should see buyers looking at Bellway’s new development at Helios Park. Situated in secluded woodland in Hawley and benefiting from fantastic transport links and motorway access, the properties offer an ideal balance of tranquillity and township. Once a derelict industrial park, the picturesque forest location is now a beautiful site of two, three and four-bedroom properties. Finished to a high specification and all available with Help to Buy, the development features a selection of stylish homes boasting modern design features, open-plan living spaces, en-suite bathrooms and either a garage or allocated parking. 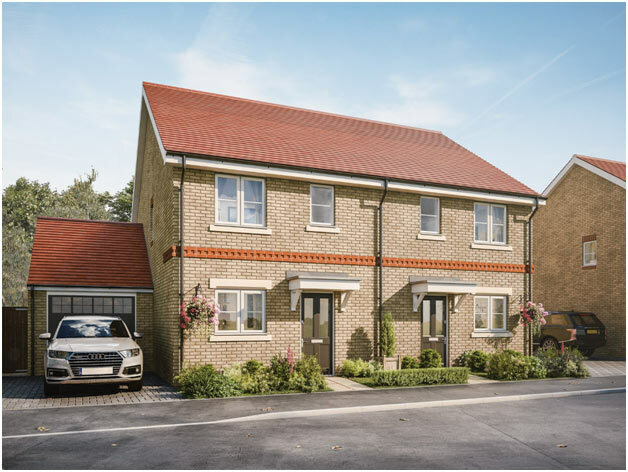 Steve Garton, Sales Director at Bellway Thames Valley comments: “Seven homes have been snapped up in the first three weeks of sales at Helios Park. The swift purchases illustrate the site’s fantastic strengths and reflects the news that the borough is home to the most satisfied people in the country. We are confident that the commutable position, range of homes on offer and the desirable location, will continue to attract strong interest”. With Hawley Lake less than a mile away, the area is a popular destination for walking, running and cycling. For water sport enthusiasts, Hawley Lake Sail Training Centre offers recreational sailing, kayaking, power-boating and the opportunity to gain nationally recognised sailing and boating qualifications. For keen golfers, there is Southwood Golf Club and North Hants Golf Club, both just a 10 minute drive away. With Farnborough and Camberley both within easy reach, everything one could need is close by. The added bonus of having several train stations just a five to ten- minute drive away also makes Helios Park an excellent commuter spot, with the journey to London Waterloo taking just 45 minutes. The development is also conveniently placed for the M3, which connects to the M25, providing easy access to Greater London. Helios is also only 20 minutes from Heathrow Airport. Families are well catered for in Hawley, with well-respected schools just a short distance away, including Guillemont Junior School, The Manor Junior School and Cove Junior School. For older students, the options of Kings International College and Farnborough Hill secondary school for girls are both in close proximity, just 10 minutes away by car. For those interested in higher education and university options, Farnborough Sixth Form College, Farnborough College of Technology and the University of Surrey are all under 30 minutes away by car. 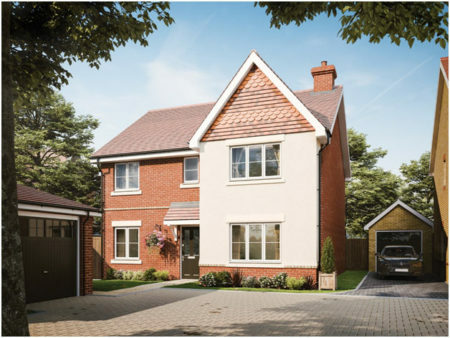 Prices at Helios Park start from £305,000 for a two-bedroom house and go up to £585,000 for a four-bedroom house. For further information, please visit www.bellway.co.uk or call 0118 996 1002.